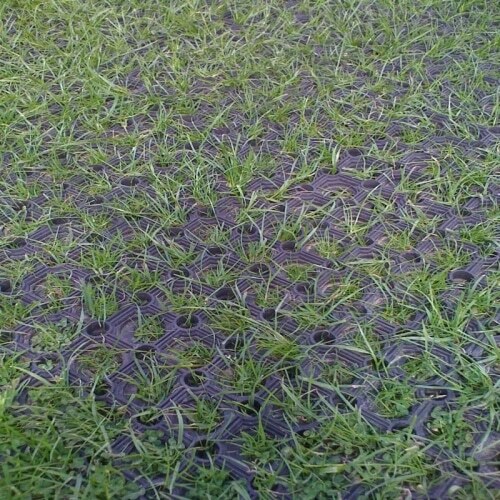 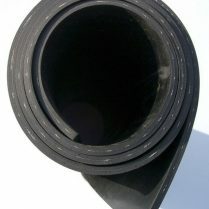 Our Standard Grassmats or Ringmats are made up of series of linked rubber rings that make a totally non-slip surface, and they have small rubber pimples on the reverse side to hold the mat off the ground to allow any wet to drain away. 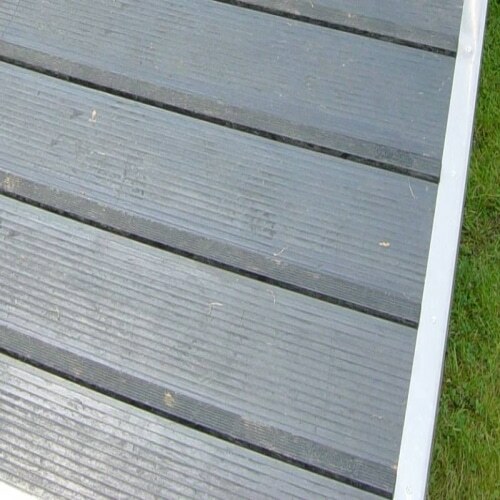 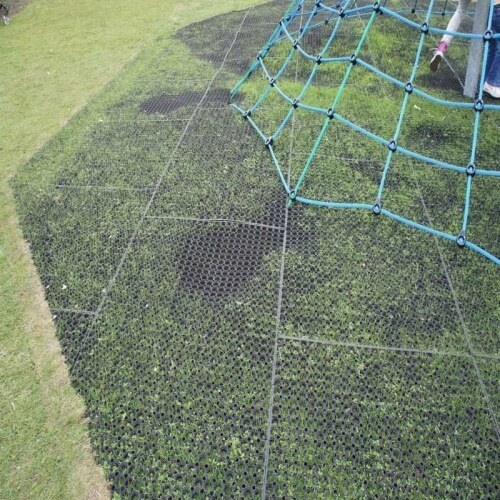 Ring mats are often referred to as “Grass mats” as they can be used to protect grassed areas and lawns from becoming boggy and damaged as is often the case in field gateways and underneath children’s swings. 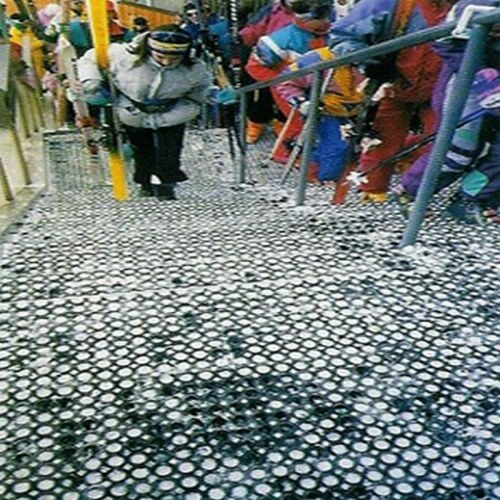 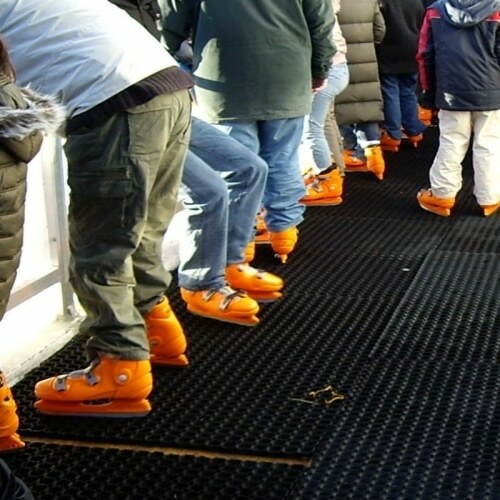 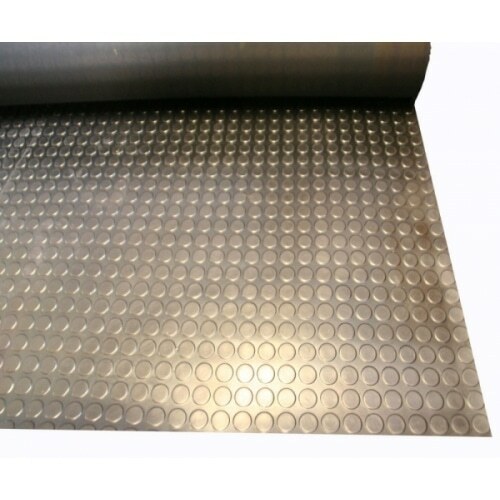 Ring mats work equally well on hard surfaces where a non-slip self draining surface is required, such as in milking parlour pits and ice rink changing areas. 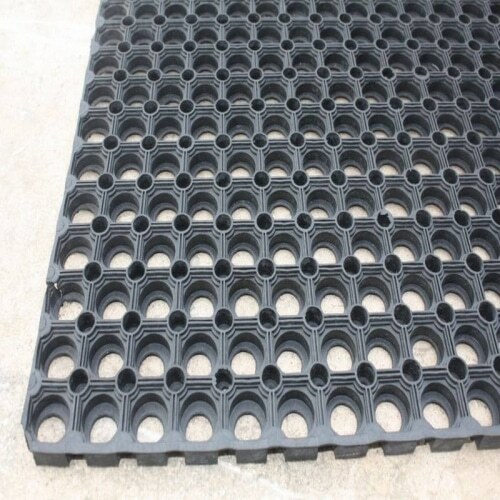 At just 15kg each Ring mats can easily be lifted to clean underneath when required or rolled up for storage and transportation.